1957 – June 29: Robert Forster born in Brisbane, Australia. 1976 – Meets Grant McLennan (b. 12 Feb 1958) at a drama class at the University of Queensland. McLennan is brandishing a copy of Ian Hunter’s first solo album. 1978 – Robert Forster and Grant McLennan form the Go-Betweens. McLennan is the bassist and Forster plays guitar. Their first single "Lee Remick"/"Karen" is released on their own ‘Able Label’. 1979 – They release second single "People Say"/"Don't Let Him Come Back”. 1980 – McLennan and Forster move to Glasgow and sign to Postcard Records and hook up with Orange Juice. "I Need Two Heads"/"Stop Before You Say It" released. 1981 – Band returns to Australia signs with Missing Link Records. Releases "Your Turn, My Turn"/"World Weary" single. 1982 – Band sign to Rough Trade Records and release their debut LP, Send Me a Lullaby. They move to London with drummer Lindy Morrison. 1983 – Before Hollywood released. It was recorded in Eastbourne, England and contained the classic single "Cattle and Cane". Bass player Robert Vickers joins the band. McLennan switches to guitar. 1984 – Band sign to Sire Records. Spring Hill Fair is recorded in the South of France. 1985 – Band record Liberty Belle and the Black Diamond Express in London for Elektra Records in the UK. Label closes down before the contract is signed. 1986 – Band sign to Beggars Banquet and release Liberty Belle. Multi instrumentalist Amanda Brown joins the group. She becomes McLennan’s partner. 1987 – Tallulah, recorded in London, is released. The band move back to Australia. 1988 – Record 16 Lovers Lane with Mark Wallis in Sydney, which is released the same year. 1989 – Band tour the world in support of 16 Lovers Lane. December: The Go-Betweens split professionally and romantically. Robert Forster moves to Bavaria, Germany. 1990 – Robert releases his debut solo album, Danger In The Past, produced by Mick Harvey and recorded in Berlin. Robert marries Karin Bäumler. 1991 – February: Robert Forster tours Europe as a solo artist. November: tours USA and Europe with McLennan as a duo. 1993 – Calling from a Country Phone released. It was the first time Forster had recorded in his hometown, Brisbane, since the first Go-Betweens album in 1981. 1994 – Forster releases the covers album I Had A New York Girlfriend. It was recorded in Sydney and he is accompanied by Warren Ellis, Clare Moore and Mick Harvey. 1996 – Releases Warm Nights, produced by Edwyn Collins in London. 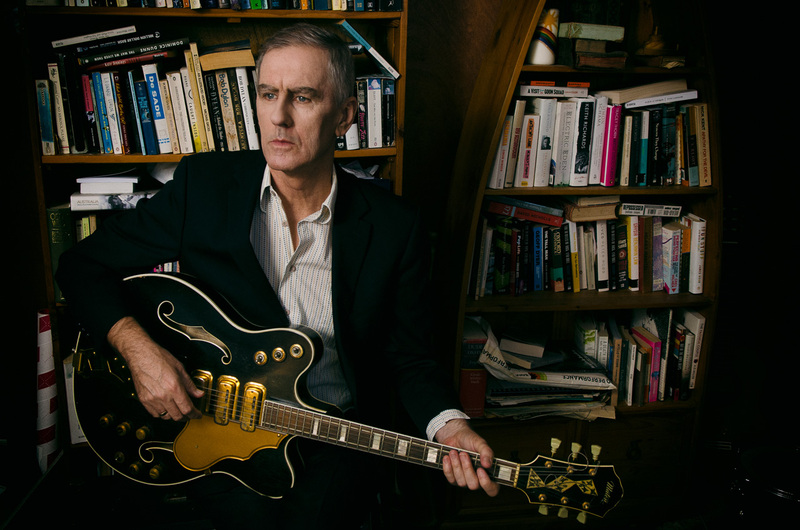 Forster and McLennan accept an invitation from French magazine Les Inrockuptibles to play in Paris as The Go-Betweens. 1997 – The Go-Betweens, with Adele Pickvance on bass and Ross MacLennan on drums, perform concerts and festivals in the UK and Europe. 1999 – Forster and McLennan tour the world as an acoustic duo in support of The Go-Betweens compilation album Bellavista Terrace released by Beggars Banquet. 2000 – The Go-Betweens release their first studio album in twelve years, The Friends of Rachel Worth. The album was recorded in Portland, Oregon with Adele Pickvance on bass and Janet Weiss from Sleater-Kinney on drums. Its release generated acclaim around the world. 2001 – Forster moves back to Brisbane, Australia. 2003 – Bright Yellow Bright Orange released. It was recorded in Melbourne, Australia. Drummer Glenn Thompson joins the band permanently, completing their final line-up. 2004 – The band performs a career spanning concert at the Barbican, London accompanied by a string section. The show was released on the Live in London, double CD. 2005 – Oceans Apart, recorded with Mark Wallis in London, is released to universal acclaim. It becomes their most commercially successful release. It is awarded an ARIA (Australia’s Grammy). Forster begins writing regular features for The Monthly, an Australian magazine that covers politics, society and the arts. Their first DVD, That Striped Sunlight Sound, is also released. 2006 – May 6: Grant McLennan dies. Queensland Premier Peter Beattie delivers a eulogy in the Australian Parliament paying tribute to the band’s outstanding artistic legacy. Forster is awarded the Pascall Prize for Critical Writing. 2007 – Sept: Recording begins on The Evangelist with Mark Wallis in South London. It contains some of McLennan’s final compositions. Go-Betweens, Glenn Thompson and Adele Pickvance accompany Forster on the recording. 2008 – The Evangelist is released to rave reviews and Robert embarks on a worldwide tour that includes performing a Velvet Underground set at the Andy Warhol museum in Pittsburgh USA. 2010 - Queensland Government names the first road bridge built across the Brisbane River in Brisbane for 50 years “The Go-Between Bridge” in honour of Australia’s finest band. 2015 – The album Songs to Play recorded in Robert’s home town of Brisbane is released, again to astonishing reviews and Robert embarks on another worldwide tour with the young Australian musicians that played on the recordings. 2016 - Robert’s memoir Grant & I: Inside and Outside the Go-Betweens is published by Penguin books in Australia to remarkable reviews cementing Robert’s reputation as an award winning writer. 2017 – The film The Go-Betweens: Right Here starring Robert and directed by Kriv Stenders is released, opening in Australian national cinemas and film festivals around the world. Grant & I is published by Omnibus books in London and a German translation by Heyne Books in Munich. Robert embarks on a Europe wide book tour. The year ends with Grant & I named as MOJO and UNCUT’s ‘Book of the Year’. 2018 – Robert decamps to Berlin to record new material, reuniting with producer Victor Van Vugt who 28 years earlier engineered Robert’s 1st solo album. He is joined in the studio by Karin Baeumler, Scott Bromiley, Earl Havin and Michael Muhlhaus. 2019 – The album Inferno is released worldwide, charting in Germany and the UK and announced as MOJO’s ‘Album of the Month’. Robert will tour worldwide during the rest of the year.